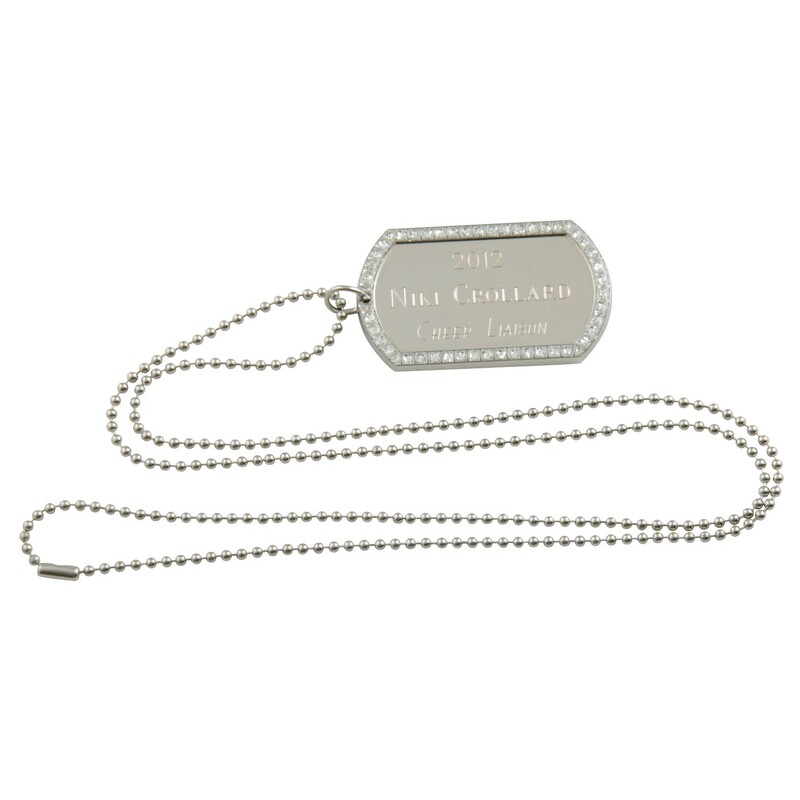 This great piece puts a new spin on the traditional dog tag! The Engraved Gem Dog Tag features your choice of a gold or silver tag edged in a glitzy rhinestone border. 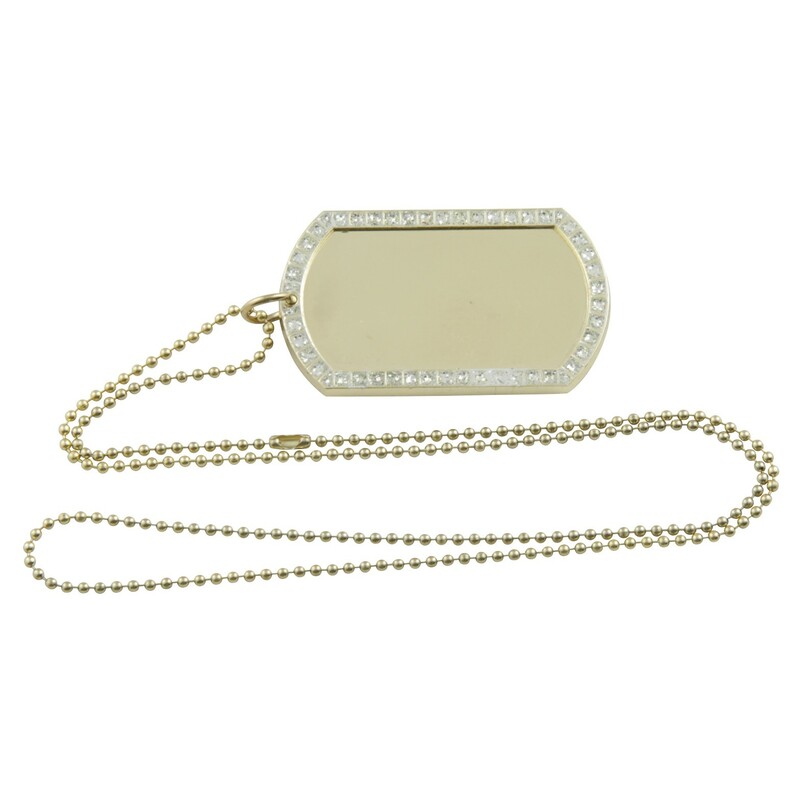 This award is available with a key chain, neck chain, or both! 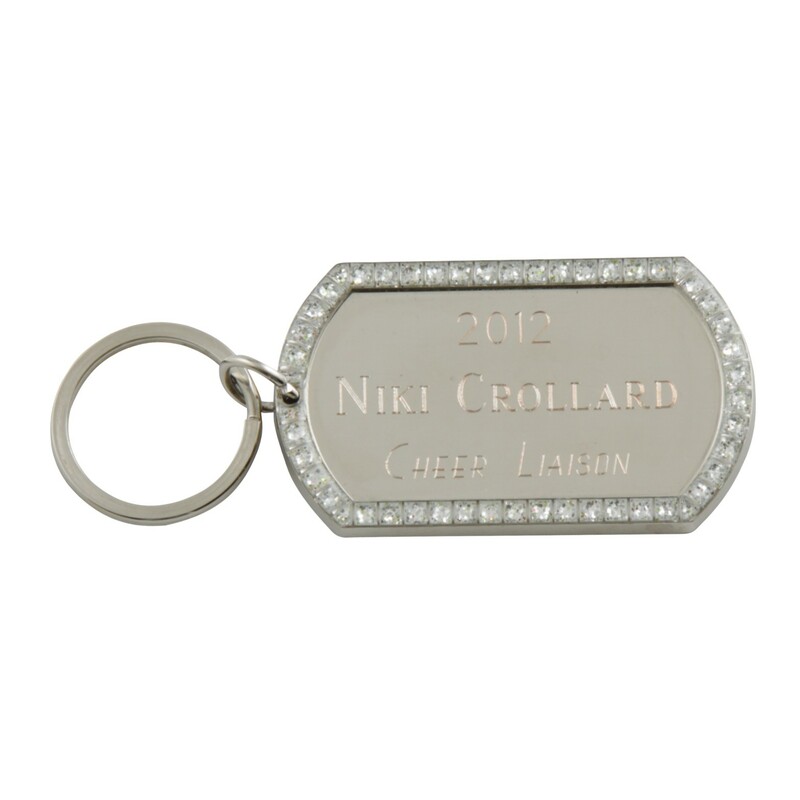 Take the time to recognize any special achievement with this customizable tag. Engraving included for free!